What is a Payroll System? 5 Reasons to use a Payroll management Software. A Payroll management software is a system that takes care and manages the salary payments of employees’ in an organization. Payroll is a complicated process, It involves various steps such as calculation of basic salaries of every employee in your organization,tax deductions, incentives etc. These records also required to kept and maintained by the organizations for Income tax purposes. Managing all these processes every month is crucial for the consistent payment of salaries without delays. But when you have many employees, the added complexity and legal obligations make the payroll process challenging. Often companies fall short of making consistent and on-time payments to their employees. A Payroll System helps streamline and centralizes the salary payments of your organization. The software calculates salaries, tax deductions, incentives and bonuses etc by itself, sorts out the issues related to payments and deductions and records it digitally into its database. Payroll software is efficient at handling large employee salary data. It can create and manage multiple salary structures for various seniority levels in your organization. It automatically calculates salary heads based on the latest IT and Govt. compliance norms and records the data into its servers making it easy to retrieve data. All in all, it largely reduces the time for the entire payroll processes and eliminates the possibility of errors in salary calculation. Calculation of salaries, deductions and incentives are not an easy process, it requires the repetition of the entire process for every employee at every month. To makes things simple a salary managing system requires you to enter the data only for the first time. It automatically calculates and repeats the process for the subsequent months. Managing huge data through paper-based files can make a lot of hiccups. It is time-consuming and often makes the processes more complicated than it really is. Implementing a Salary management software replaces all the paper-based files into reliable and secure computer files. 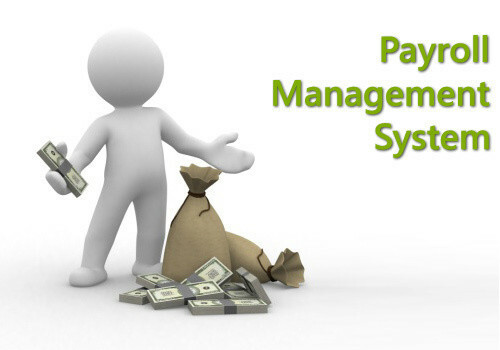 A payroll management software avoids hiring more employees to handle the Salary management. It doesn’t require any investment in hardware such as servers and physical software packages. Which makes the system cost-effective. Most Payroll management systems save data into secure cloud servers, which assures the security of your data. The confidential documents can only be accessed with passwords or proper security measures which helps to secure your data from unauthorized access. How to choose a Payroll management ERP Software? The most important factor that you have to keep an eye on while selecting a payroll software is its security. Make sure that the Software you choose has two-factor authentication and authorization system to avoid data tampering and possible theft of confidential data. The second important factor is user-friendliness of the software, a good Payroll system provides you with an easy to use interactive user interface, where you can manage your data efficiently. The third factor is the credibility of the software,We , Eduxpert are a trusted School management system that is offering payroll management as a module in the software. It is developed for schools and Educational institutions. If you are looking for a good Payroll management system for schools/educational institutions you can contact us here. 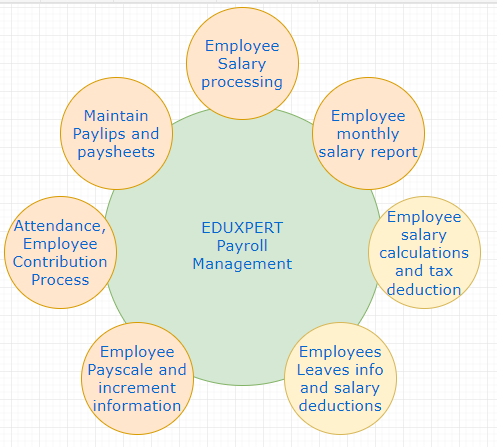 Key Features of Eduxpert Payroll Management System. Automatic LOP calculation and many more. Contact us today for a free 30 days demo.